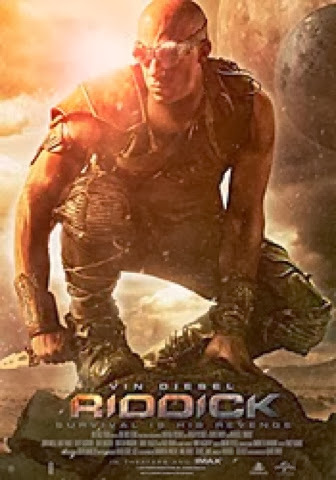 There are still very few details about this upcoming Blu-ray and DVD Combo Pack Release of Riddick except it should include both a Digital Copy and Ultraviolet HD Digital Copy Code within the packaging and that the title is scheduled to be released on January 14, 2014. Earlier this year, I had read an online article regarding an extended cut of the film that includes a lead in for the next chapter, but as far as I know there have been no official details released. I am looking forward to owning this when it comes out or sooner if a review copy is made available. In the meantime at least we have a release date and a little something to look forward to in the early part of the new year. If I get any more details I will add them under a separate future post. Thank you.